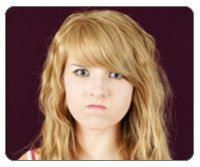 Does Your Overly Sensitive Kid Have a Hair-trigger Temper? When you have an oversensitive child with a hair-trigger temper, it really puts you—and other family members—on edge. You begin to tip toe around him or her; you feel like you can’t be direct for fear of causing an angry, explosive response. You also start to feel responsible for your kid’s behavior and “take the blame.” Parents often begin to do more enabling behaviors like giving in and making things easier on touchy, easily-angered kids. But in the long run, it’s important to realize that this response isn’t helpful to them or you. It won’t help you or your child to give them more attention for their behavior. Don’t give them an audience or validate their overreaction. It’s natural to feel very alone and full of shame about your child’s over-sensitive, reactive behavior—especially if this behavior is displayed in front of others. It can be embarrassing if other extended family members or friends become critical. Ultimately this can be isolating to a parent, but it’s important to understand that you are not alone. Do not underestimate the need for some kind of a support system—a partner, friend, parent or group—a place where you can get the support you need for this situation. Why are some kids more sensitive than others? Some kids respond with oversensitivity to different stages in life, especially adolescence. When children go through different stages of development, they may become touchy and moody even though they weren’t this way previously. It can come as a shock if you’re not prepared for that change. Other children face environmental factors that are making them more sensitive—a death, loss or change in living situation, for example. Still other children are simply wired to be more sensitive – and while you can’t change this fact about them, you can help them manage their emotions more effectively. No matter what the reason for your child’s touchy behavior, you still need to use the same kind of parenting techniques to help them. Here are 5 real techniques that can help you parent your oversensitive, reactive child more effectively. When your child’s response is completely over the top (even when they’re just experiencing what you might consider a normal bump in the road), resist being drawn into an argument with them. So when your teen daughter throws a full-blown tantrum and starts screaming at you because “she has no clothes to wear” (even though she has a closet full) or your son gets in your face and insists that you “hate” him when you tell him that he can’t go out on a school night, it can feel upsetting, not to mention absurd and irrational, for us as parents. In the heat of the moment, there’s a temptation to be sarcastic, short or even angry with your child when he overreacts or loses control of his temper. But understand that none of that helps. To him, the feelings are very real—and he’s definitely not seeing it as absurd at that point in time. Try not to react in front of your child; work to keep your tone and expression neutral. You don’t need to agree with what he’s saying, but by making fun of him or arguing with him, you will enter into a power struggle that you can’t win. It won’t help you or your child to give them more attention for their behavior. Don’t give them an audience or validate their overreaction. Even though you might feel like you should, you don’t have to stand there and try to “fix” whatever the problem is, feed into your child’s emotions or validate their excessive reaction. This is an important point because it’s very important for you to understand that you can’t argue your child out of it. And you’re probably not going to be able to reason with him and convince him to see things differently, either. You want to just plant a seed about how the reaction doesn’t seem to match what’s going on, and then walk away. You can talk about it later when your child is calm; at that time you can work with them to come up with a better way to respond next time. You need to “parent the child you have and not the one you wish you had.” Part of doing this is noticing your child’s triggers and trying to avoid them. If they’re set off by getting dressed for school in the morning, for example, start having them pick out what they’re going to wear at night. Sometimes triggers, even for teens, have to do with not getting enough sleep, or being hungry. Do your best to remove or avoid all of your child’s usual triggers. This can greatly cut down on the number of tantrums or explosive rages they experience during the week. Along these same lines, remove your child from embarrassing situations like the grocery store when they act out—and try to avoid taking them back their until they’ve shown you they can behave. Set limits around their behavior and follow through with consequences. If you take your 13-year-old daughter shopping for a dress and she says she hates everything and then is rude to you and the clerk, that’s the end of dress shopping for the time being. You can say, “Okay, we’re leaving. Let’s try this again another time when you’re ready.” For whatever reason, she’s not able to handle it at this time. Removing her from this embarrassing situations is not only good for you as a parent, but good for your child as well. 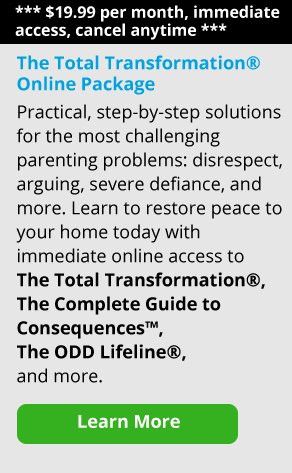 Remember, you can’t lecture your child into changing her behavior. Try to be brief, clear and direct when you talk with her. As parents, we tend to say things over and over. For oversensitive kids that’s probably not helpful, because it’s often connected to their triggers. Generally, these kids tend to be pretty sensitive to information. So a minimal amount of discussion or message about something is probably going to work better for them. You’re going to avoid triggers and you’re going to get your point across. As a parent, it’s important to learn how to say things differently. Look at it this way: if you have to repeat yourself constantly what you’re saying is obviously not effective. With older teens, you can try talking to them about what’s going on. The older adolescent is probably starting to see this touchy, angry behavior get in the way of having friends. While you can’t make the behavior or emotions go away by talking about it, you might be able to find ways to help your teen cope better. Try reinforcing times when they’ve really done a good job of handling things. Let’s say the coach yelled at your teen but he didn’t lose his cool. You might say, “I noticed that you really kept it together with the coach today. What happened during that situation that made you able to do that?” He might say, “My best friend was there with me and they said not to let it bother me,” or “I knew the coach was mad at everyone and not just me.” Reinforce that by saying, “Great, remember that next time. He might be mad at everyone and not just you.” I would keep it short and really focused on that situation. Here’s another example. Let’s say your family is playing a game. Your 11-year-old perceives something to be unfair and flips the board over, sending all the pieces flying. You might give a consequence for that behavior, and then when things are calm you would have a problem-solving conversation where you ask, “What can you do differently the next time you feel like something’s not fair?” That’s what teaches your child how to learn to cope. After all, you want them to be successful; you want them to be able to play games with others. Again, keep the conversation short. “I know you were upset that you were losing the game. I know your sister rubbed it in. But it’s just a game and you need to keep it together. What can you do next time you feel that way that won’t ruin it for everyone and get you in trouble?” And then you would help your child come up with some ideas. You might feel frustrated with your oversensitive child, but remember, it has a silver lining because there are some positive aspects to this, too. In itself, being sensitive is not a bad thing. Your child might be more intuitive and really aware of things. It’s good to remember that beyond the oversensitivity, what’s left is sensitivity—which is a really positive trait. And once your child is mature and learns how to cope better, he’s going to be able to really use this skill in life. The goal for you is to help your child accept himself, but that doesn’t mean he doesn’t have to change or behave appropriately. Your job as a parent is to help him learn how to understand his own makeup, and respond to situations differently. You want to teach him how to cope so that his oversensitivity doesn’t get in the way as he grows older. The ultimate goal is for him to learn how to function in the world so his temper doesn’t prevent him from making and keeping friends, doing well in school, getting a job, and sustaining meaningful relationships.